The average price for this game in the past 6 months is $23.50. The game first became 50% off on Nov 16, 2018 at PlayStation Store. Lowest historic price was $17 on Nov 21, 2018 at GameStop. God of War is now only $17 at GameStop. This beats out PSN's Black Friday sale of $21 by a landslide and is one of the must-have this Black Friday season. Last chance to pick up God of War for its lowest ever price of $35 thanks to the PSN Attack of the Blockbuster Sale. Non PS Plus members can get it at $39. Considering the lowest we've seen the physical gone for was the same $39, this is a great deal. Releasing later this week, God of War is one of the most anticipated title this Spring for PS4 gamers. If you don't have Best Buy GCU, the PSN digital code is 10% off at GMG this week. Key is generally sent a day or two before release based on past experiences with Sony published titles. God of War Collector's Edition is now only $60 at B&H Photo. Besides the God of War base game, the collector's edition comes with a 9-inch statue, steelbook case, cloth map, 2-inch carvings, exclusive lithograph, and digital contents. Not a bad deal considering everywhere else still has this at the full price. The average price for this game in the past 6 months is $31.49. The game first became 50% off on Nov 21, 2018 at GameFly. 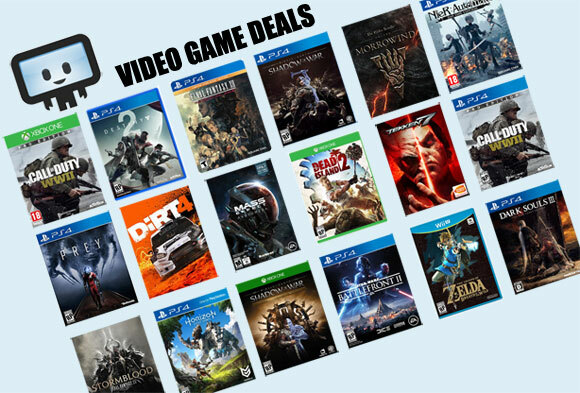 Lowest historic price was $24.99 on Nov 21, 2018 at GameFly. Didn't pick up God of War last month? You can now scoop up the physical PS4 copy for 15% off on eBay. Shipping is free and this is the perfect deal for those of us without Best Buy GCU or Amazon Prime membership. The average price for this game in the past 6 months is $7.99. The game first became 50% off on Oct 12, 2015 at GameStop. Lowest historic price was $3.99 on Jun 28, 2017 at . Now live, God of War III Remastered is the second noteworthy PS Plus freebie for the month of September. If you've never tried God of War series, this is the perfect title to introduce you to Kratos as he romps through Hades. The freebie last all month long and the game is yours to keep as long as you have PS Plus membership. Sell out price on God of War III Remastered at GameStop this Cyber Monday. Cheapest ever in new condition. In pre-owned condition GameStop is charging $19. Gods of War III Remastered is back to its all-time low today at Best Buy. 97% customer recommendation...hard to argue for the price of a couple fast food meals. The remastered version of God of War 3 is down at $15 and at its lowest price ever by $5. It’s worth a pickup if you’re a fan of the game looking to relive some pretty epic moments. If you've never got a chance to play God of War 3, you should definitely pick the title up, and now is certainly as good of a time as any since GameStop dropped the price to $20, making it the lowest price we've seen yet. The average price for this game since released is $18.21. The game first became 50% off on Dec 8, 2011 at Amazon. Lowest historic price was $2.49 on Mar 21, 2017 at . The average price for this game since released is $31.42. The game first became 50% off on Jul 2, 2013 at Amazon. Lowest historic price was $2.49 on Mar 21, 2017 at . Unless you need a brand new copy, GameFly has a solid deal on God of War: Ascension pre-owned at only $9 with free shipping. In new condition you're lookin' at $19. Best Buy drops down the price of God of War: Ascension to $15 with free store pickup or $2 shipping. Lowest price we've ever seen on new condition by $5 and $15 off next best price. I bought this at Best Buy a few weeks ago for the same price. God of War: Ascension dropped to $20 today at Best Buy. Lowest price ever by $7. Available for free shipping or free store pickup. Heh, a pre-owned copy of this game at Best Buy is $34.99. If you're a fan of God of War series, the latest installment God of War: Ascension drops to its lowest price ever at $27 plus $4 shipping. Reviews are mostly quite positive. Fan of God of War? Right now, Amazon has God of War Saga collection for ten bucks. Includes God of War collections 1 and 2, God of War 3 annd God of War Collection (Chain of Olympus and Ghost of Sparta). The average price for this game since released is $22.40. The game first became 50% off on Nov 24, 2012 at Amazon. Lowest historic price was $9.99 on Feb 1, 2016 at Amazon.